I've been briefly talking about what our larger goal is. Today I go into detail on what we are doing with the StartEdUp Foundation. For more information, please visit https://ift.tt/2NN3cME There you can meet the cohort of students, meet the team, and the board of directors, or even make a donation! 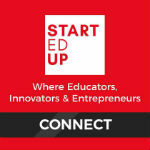 You can also email directly at: don@startedupfoundation.org if you want to mentor or have any other questions!